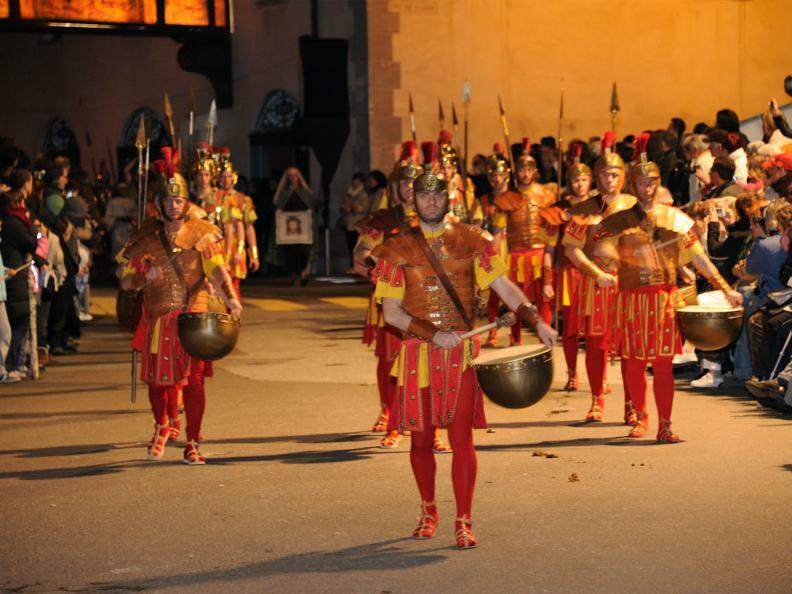 The Processions of the Holy Week in Mendrisio are candidates for UNESCO's intangible heritage. 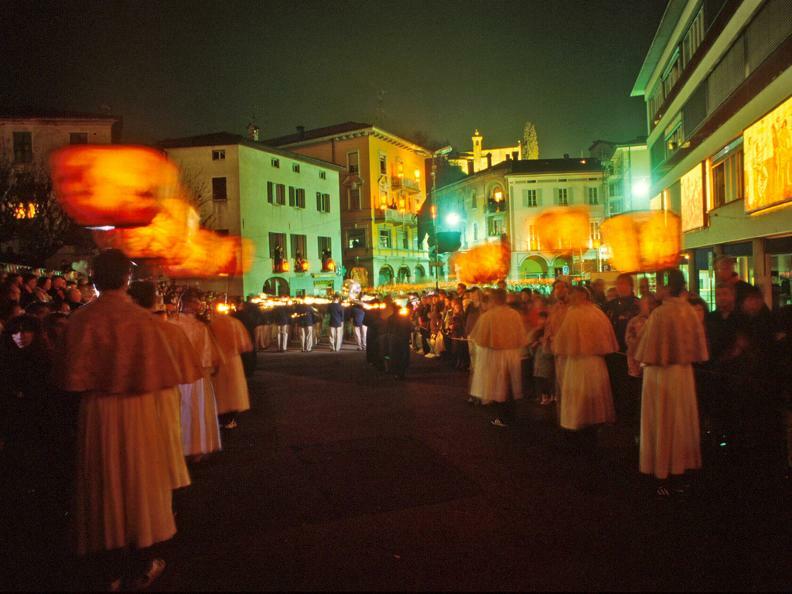 On Maundy Thursday one of the most impressive traditions of Switzerland takes place in Mendrisio: the Easter procession. 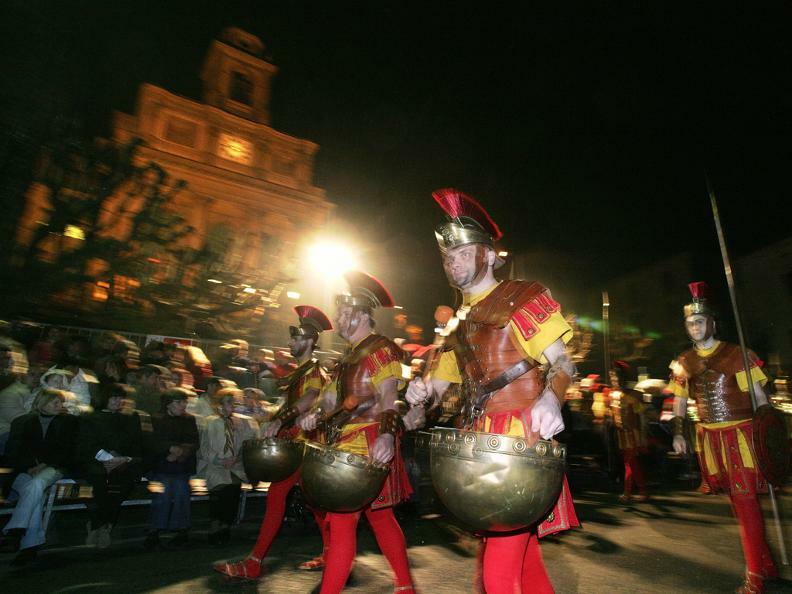 The first written account of this celebration dates back to the 17th century, but with high probability its roots lie even further in the past. 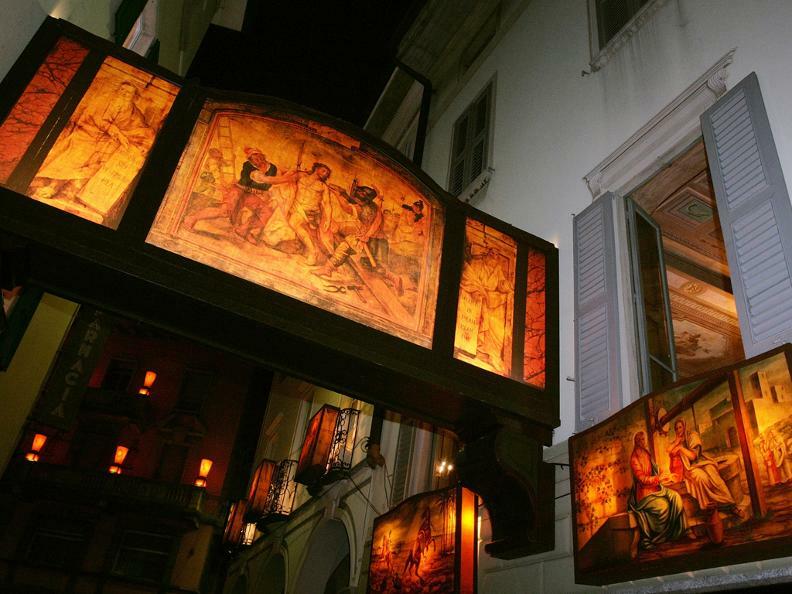 With the beginning of the Holy Week the old town of Mendrisio starts to be decorated with the so-called “Trasparenti”, diagrams on transparent cloths from the 17th and 18th century, showing pictures of the passion of Christ. 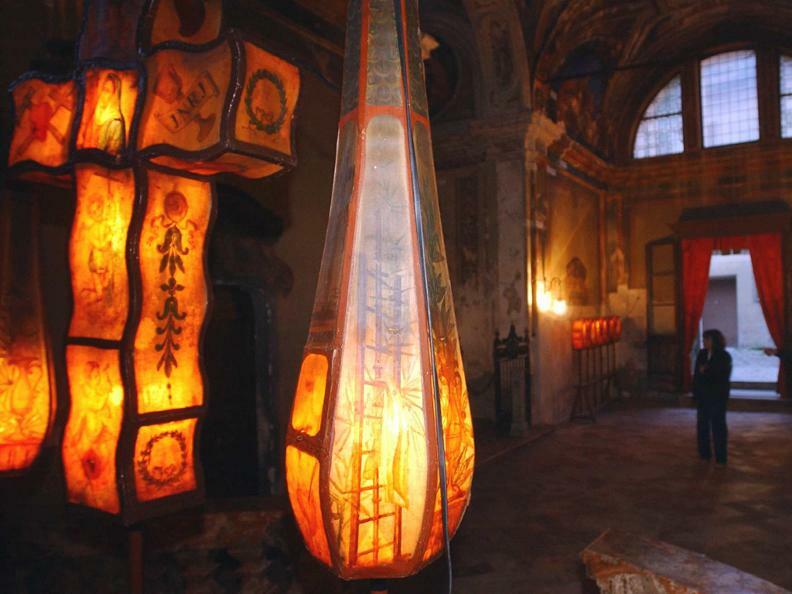 On the evening of Maundy Thursday lanterns illuminate them from inside. The mysterious light perfectly fits the atmosphere of the procession. 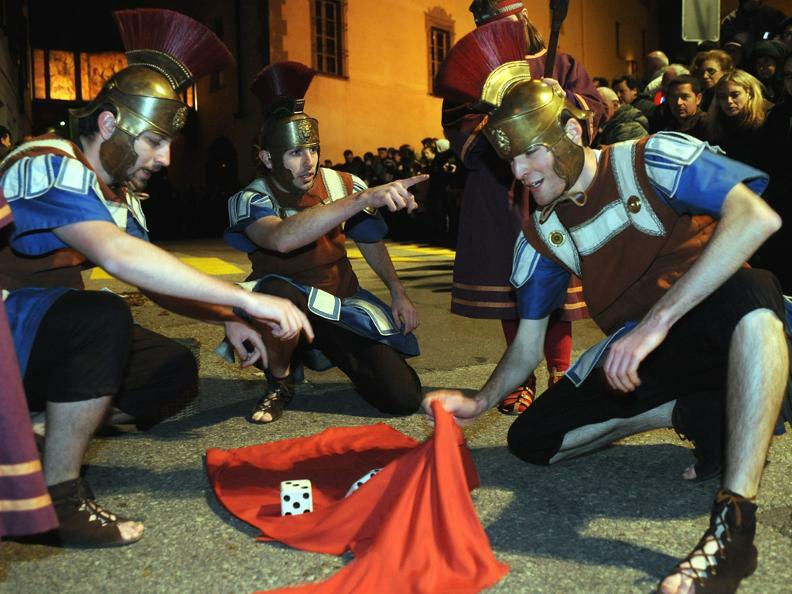 The “Funziun di Giudee” is a veritable theatre play with around 200 roles, among them 40 riders on horses. 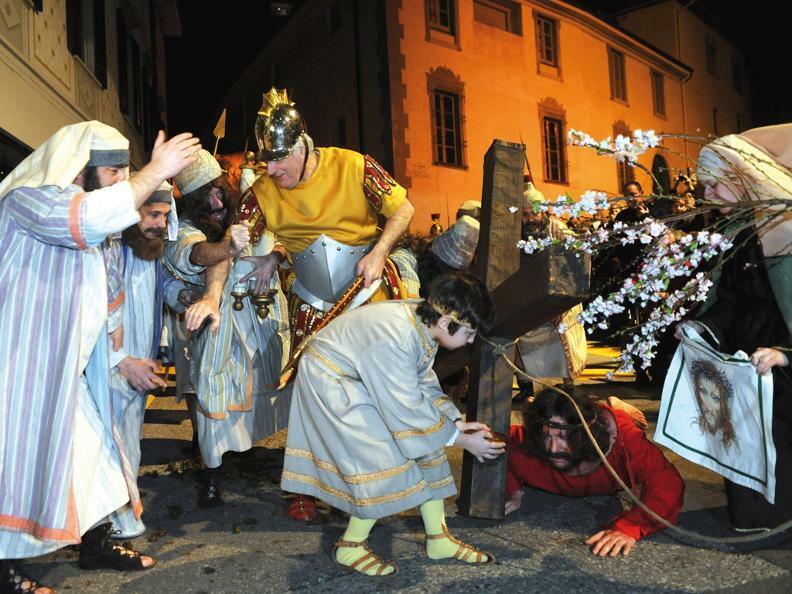 The performance shows the tragedy that most touched mankind: the passion and crucifixion of Christ. The parts are interpreted by men and women from Mendrisio and the surrounding area. They wear costumes which were acquired in 1898 from the famous Teatro alla Scala in Milan. The accurately designed clothes are very valuable which leads to strict rules: in case of rain the event does not take place. When the weather allows it, heralds announce the beginning of the ceremony with their ceremonial trumpets. The Virgin Mary, Mary Magdalene, Saint Veronica, showing the sudarium, the condemned thieves, the Roman soldiers and the Jews follow Christ on his way of the Cross, which here leads through the centre of Mendrisio. It is decided by drawing lots who will interpret the role of Jesus. According to the legend during the first Passion play the role had been given to a sinner who converted to faith. For this reason his name was never released. To this day, the identity of the protagonist remains a secret until the very end. 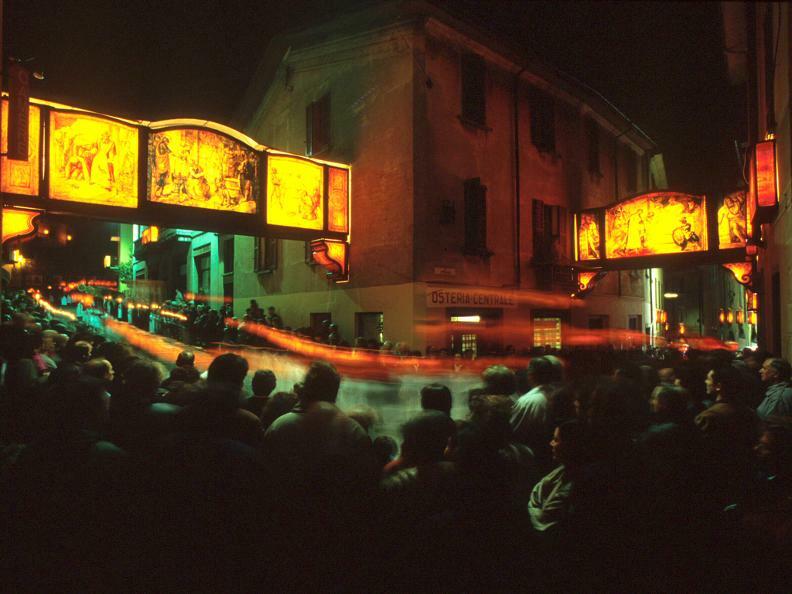 The procession of Holy Friday, also known as “Enterro” is probably older than that of Maundy Thursday. Though, it is not possible to determine when it came into life. 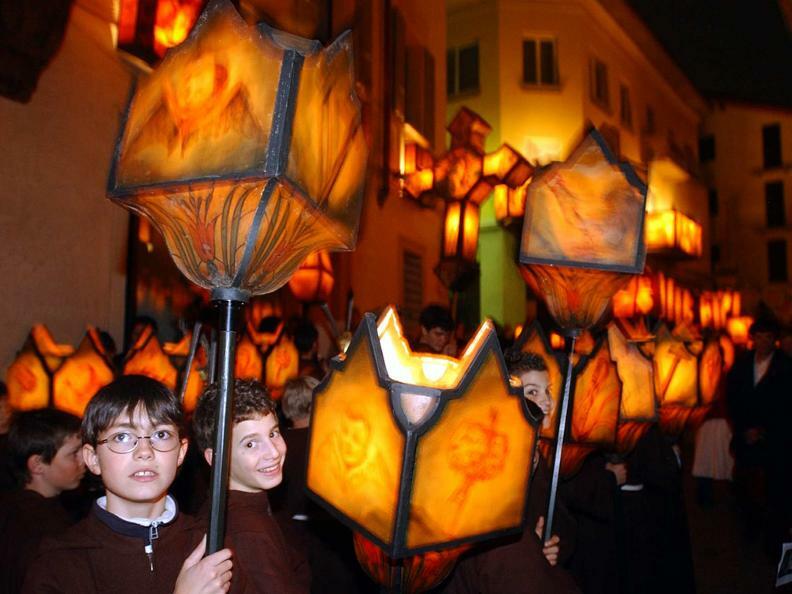 What is certain is that the procession was founded by the monastic order “Servi di Maria”. 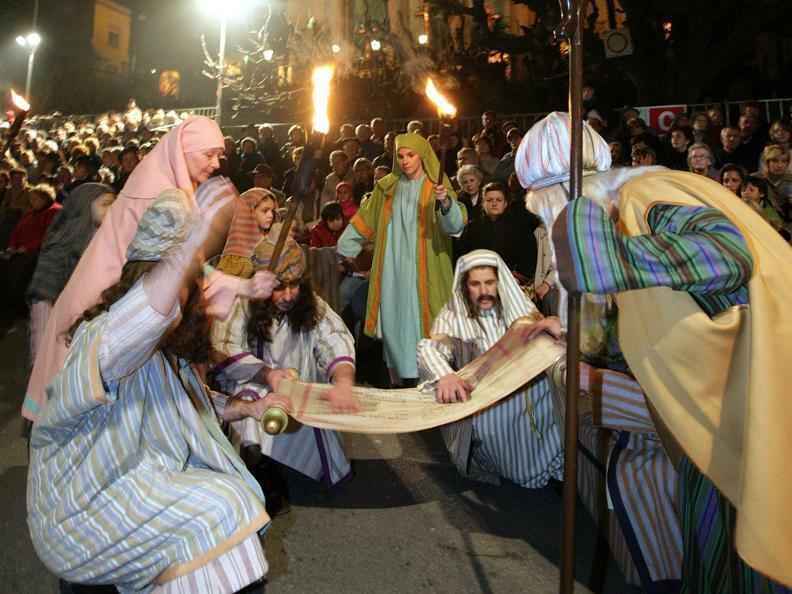 Around 700 people, representing confraternities and religious associations, participate in the procession of Holy Friday, which is characterised by liturgical and religious elements. The centre of the procession are the baroque figures of the dead Christ and the suffering Mother of God, which are carried through the streets. During the year they adorn the altar of the church San Giovanni. 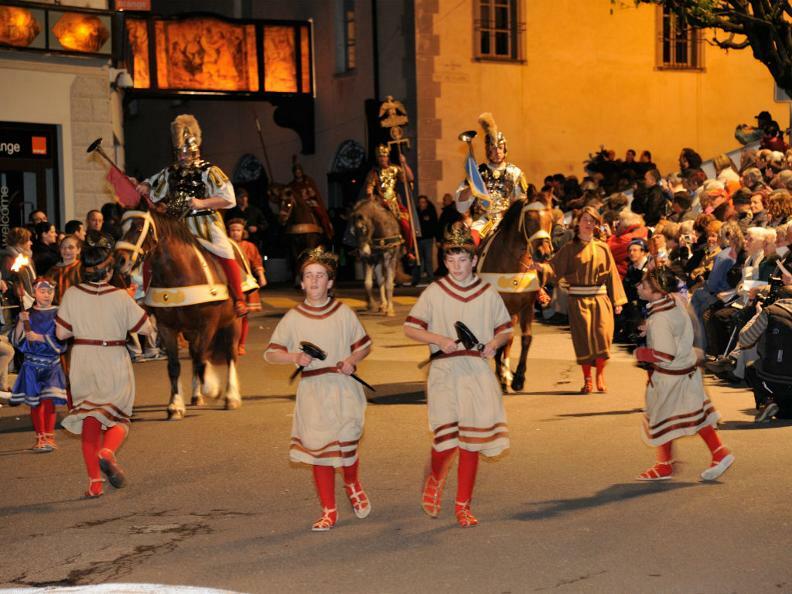 The candidacy of the Holy Week Processions was officially deposited at UNESCO in Paris in view of the inscription on the Representative List of the intangible cultural heritage of humanity. This is the fourth Swiss candidacy. In November 2019 the UNESCO is going to decide about the inscription of this living tradition.